There's no denying that America is in the midst of what many public health officials have called an opioid epidemic. In the U.S alone, there were over 2.1 million people struggling with opioid use as of 2012, per figures from the National Institutes of Health. Drug overdose has become the leading cause of accidental death in the U.S., the American Society of Addiction Medicine explained. In 2015 alone, there were 20,101 overdoses connected to these prescription pain relievers. Despite how grave the problem may seem, there is hope. In recent years, doctors across the country have begun to take steps to counter the opioid epidemic and better preserve the health and well-being of patients everywhere. "Over 2.1 million Americans live with opioid abuse (per 2012 figures)." In late 2016, The Boston Globe teamed with the SERMO physicians social network to conduct a nationwide survey of medical professionals. What they found was rather telling: Almost 50 percent of doctors in the U.S. are cutting back on opioid prescriptions, while 1 in 10 no longer prescribes the drug class outright. For nearly 75 percent of the responding doctors, their decisions were based on the fact that many patients, mainly those with chronic pain issues, had access to other, nonopioid treatments. Of course, for others, no longer prescribing opioids was a response to ever-changing policies at the state and federal levels. Many physicians couldn't keep up with new laws and guidelines, so they stopped dealing with opioids. As mentioned above, many state and federal lawmakers have issued new laws or policies to help curtail opioid abuse. One of the more recent such pieces of legislation comes from New Jersey, where, as the Philadelphia Inquirer reported, Governor Chris Christie has imposed large-scale opioid limitations. As part of Christie's proposed change, doctors in the Garden State would only be able to write five days worth of opioid-based prescriptions; the old limit was a full month. While some doctors opposed Christie's limits, many more are rallying behind the change. Speaking with the Inquirer, Dr. Caleb Alexander, who heads the Johns Hopkins Center for Drug Safety and Effectiveness, believes these limits are essential to counter the sheer volume of available opioids. Meanwhile, Dr. Mark Vitale, a dentist from Edison, told the Courier-Post that Christie is just keeping pace with the limits already in place among doctors in New Jersey and beyond. While some doctors support bans and limitations, others are opting for a different way to counter opioid abuse. 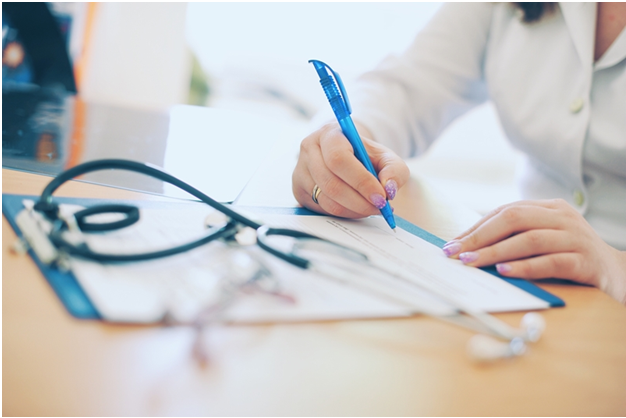 As Connecticut's The Day newspaper reported, several physicians have spent recent years further developing the Connecticut Prescription Monitoring and Reporting System. Developed back in 2008, CPMRS helps doctors track opioid use, as well as send and receive important patient information. With a series of updates to the system - including those that reflect new laws passed in late 2016 - the CPMRS has become an even more important tool for doctors across Connecticut. Many doctors check it throughout the day, and it helps them better track irregularities in patient behaviors, or if patients may have received prescriptions with another healthcare provider. It's this profound level of access that, while seemingly obvious, that is already having a huge impact for doctors in the state.